Mysuru: Vidu. 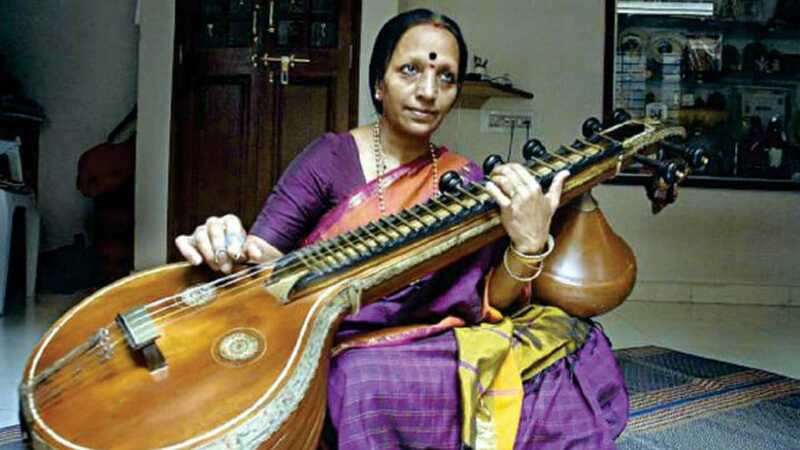 Geetha Ramananda, a renowned Veena artiste, will be presenting a classical music programme at the house of Sangeetha Kalanidhi Mysore K. Vasudevacharya in city on Sunday, 5th August. The programme will feature compositions of Sri Vasudevacharya, to be rendered on ‘Pancha Veena’ by Vidu. Geetha and her students from Bengaluru. Vid. R. Adamya will accompany the artistes on mridanga. The performance, scheduled for about two hours from 11 am, is open to all music-lovers. Sri Vasudevacharya’s house, recently rehabilitated after being in desolation for about a decade, is located on New Sayyaji Rao road, opposite Senthil Textiles. Vidu. Geetha Ramananda is a prominent artiste of Mysore school of Veena playing. A Master ’s degree holder in Music from the Fine Arts College, Mysore, she received advanced training in Veena from late Vid. C. Krishnamurthy, a disciple of Veena maestro Dr. V. Doreswamy Iyengar. With a musical career of over 40 years, Geetha has given performances at numerous organisations in Karnataka and outside. An ‘A-top’ grade Veena artiste of All India Radio (AIR) and Doordarshan and has been featured in the National Programme of AIR and Doordarshan. She has served at AIR for 35 years and retired as Programme Executive. While at AIR, she directed many musical features and instrumental ensembles. ‘Nalegalu Namagirali,’ a production by her, won the Akashavani annual award (2002). She has documented more than 150 hours of valuable programmes for Bengaluru AIR’s classical Music channel Amruthavarshini-100.1 FM.